As fans gear up for the 2006 DCI World Championships starting on Aug. 8, Drum Corps World is running a series of articles on the Madison experience. In "Part 2—Madison poised to welcome DCI Championships in August" columnist Nic Waerzeggars suggests two itineraries to explore Madison, "meant to be as flexible and as interchangeable as possible to work within your DCI week schedule and for a very student-like budget of $15." Read the article on www.drumcorpsworld.com. 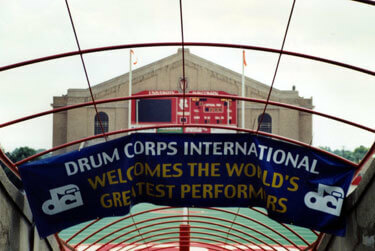 Drum corps will take the Camp Randall Stadium field starting Aug. 8.